The Michigan Irish American Hall of Fame has announced its 2018 class of inductees. The Hall recognizes Irish Americans who have made important contributions in various fields of life in Michigan. The honorees were inducted in a ceremony at Noon on Saturday, September 15, at the Michigan Irish Music Festival in Muskegon, on the Galway Stage. As always, the public was invited to attend the ceremony and following reception. To view the induction ceremony, along with follow-up interviews with the inductees, click this YouTube Link. In the category of Arts and Entertainment the Hall of Fame is honoring Michigan’s legendary band, Blackthorn. For more than 30 years Blackthorn has pioneered and promoted traditional Irish music throughout Michigan and far beyond, and has earned an international reputation for performing at the highest levels of professional musicianship. 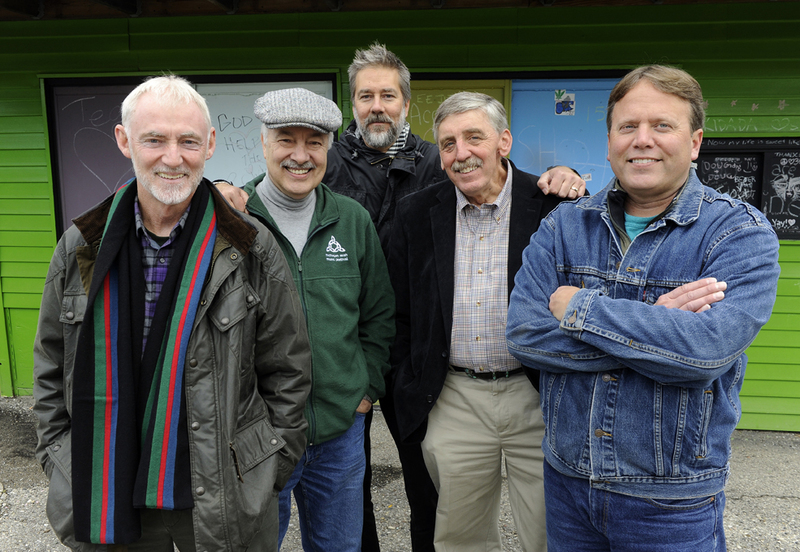 The band’s members, Richard McMullan, Dennis Green, Gary McMullen, Fred Klein, and David Mosher, have dedicated themselves to preserving the values of traditional Irish music, while also introducing their own unique instrumentals and vocals to their audiences. Comfortably performing at venues from grand concert stages to small pubs, Blackthorn is proudly Michigan’s own premier Irish band. For nearly 50 years John McMurray was the meteorologist for Michigan’s most powerful and popular radio and television broadcaster, WJR. He became a household name, and people from all walks of life started their day by listening to John McMurray. Many prominent businesses relied upon John McMurray to help decide when their goods and services should flow across Michigan. Long before radar and computers became common in weather forecasting, John McMurray earned his reputation as one of the best weatherman in the country. He still provides weather forecasting on the popular statewide radio program “Michigan’s Big Show,” hosted by radio personality Michael Patrick Shiels. He also continues to teach meteorology at Saginaw Valley State University. For his exceptional broadcast career benefitting the public, the Hall of Fame inducts John McMurray in the area of Public Service. Muskegon native Mark Martin has been one of America’s top professional sports fishermen for more than 30 years, and is to be inducted in the field of Sports. 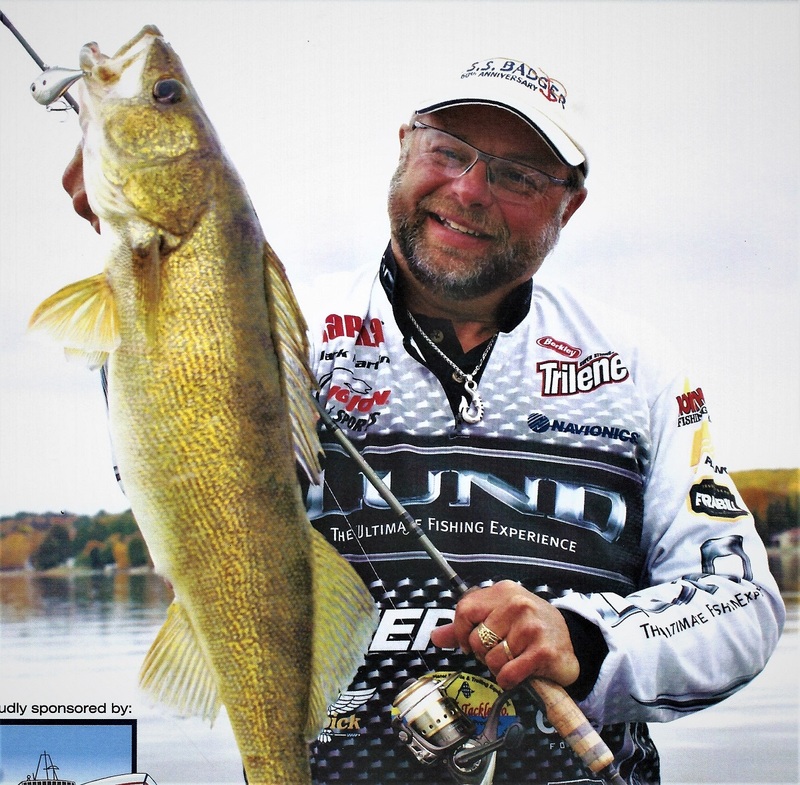 He is a former World Champion Professional Walleye Fisherman, is a member of the Freshwater Fishing Hall of Fame, and in 2001 was National Angler of the Year. During his career he has participated in more than 200 fishing tournaments and won more than $400,000 in prize winnings. He promotes the sport of fishing in Michigan, across the U.S, and in Canada, through television programs, outdoor sports shows, seminars, fishing clinics, and other events. He has introduced countless children to the lifelong sport of fishing through his children’s fishing clinics. His upper Michigan winter ice fishing schools bring to our state some of our country’s best professional fishermen and outdoor writers as instructors, and have spread Michigan’s reputation as a year-round fishing destination. He is a prolific author of books and articles, and has been honored as a member of the Michigan Outdoor Writers Hall of Fame. He is a sponsored Pro-Staff member who represents and advises many sports fishing manufacturers and service providers. In her career spanning more than 40 years in communities across Michigan, Sheila Dunleavy Mund demonstrated an uncommon dedication to improving elementary and secondary education. As either a teacher or administrator in Berrien Springs, Tawas, Muskegon, Montague, Dearborn, and Detroit, she impacted generations of students with her passion for learning and achievement in students’ lives. She has been recognized as a member of the Michigan Speech Coaches Hall of Fame, the Ford Motor Partnership-in-Education, the Michigan Champ Technology Team, and as a Teacher of the Year. She is also a Lifetime International Thespian Honoree. 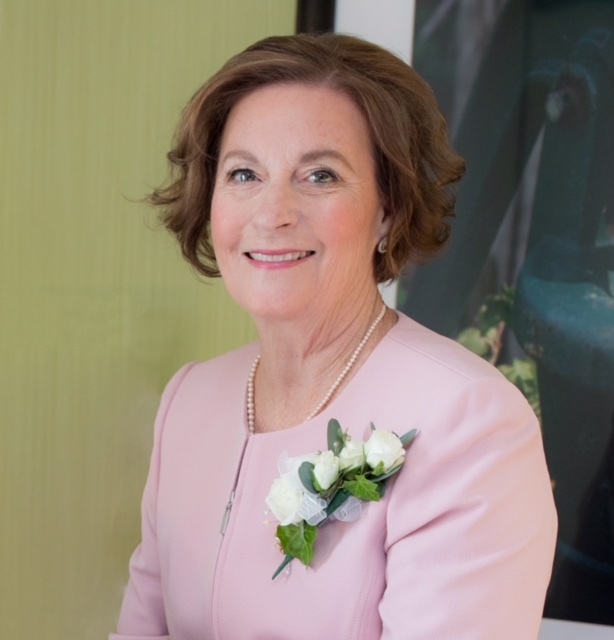 Throughout her life she has selflessly devoted herself to numerous charitable causes supported by Irish American organizations, such as the Catherine McAuley Ladies Order of Hibernians, the United Irish Societies, the Detroit Irish American Club, the Motor City Irish Fest, the Detroit St. Patrick’s Day Parade, the St. Patrick Senior Center, and the Capuchin Soup Kitchen. The Michigan Irish American Hall of Fame is proud to induct Sheila Dunleavy Mund in the field of Education. M.L. 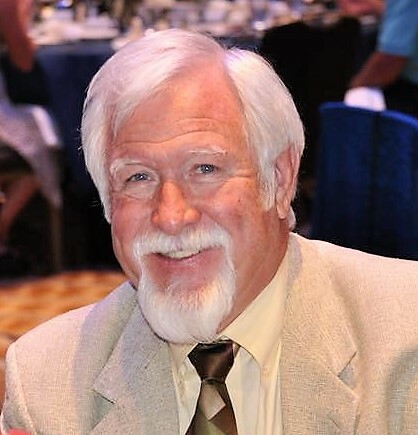 Mickey Knight is to be inducted in the area of Public Service. He has dedicated his life to public service as an educator, legislator, and lobbyist, always displaying integrity and professionalism. Mickey graduated from Adrian High School, where he excelled as a leading multi-sport athlete. He then attended Michigan State University, where he was a varsity baseball player. He also played for the Gold Medal winning American Exhibition Baseball Team at the 1968 Mexico City Olympics. After graduating from MSU with bachelor’s and master’s degrees, he served as a teacher, coach and administrator, primarily in the Muskegon Public Schools District. He is a lifelong member of the Muskegon Irish American Society. In 1978 he left education to work in economic development, and Governor Milliken appointed him to the Board of Trustees of Grand Valley State University. 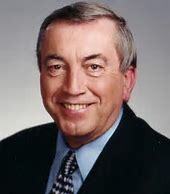 In 1980 he was elected as the State Representative from the Muskegon area, and he served in the Michigan Legislature for 12 years, where he earned respect on both sides of the aisle. Governor Blanchard appointed him to a special committee with Attorney General Frank Kelley that travelled to Ireland at the invitation of the Irish American Partnership, and for the next ten years Mickey assisted in fundraising activities supporting peace projects in Ireland. In 1993 he left the legislature and founded Knight Consulting, a multi-client lobbying firm based in Lansing. He remains involved in issues affecting the citizens of Michigan, and is especially endeared to the Muskegon area and its Michigan Irish Music Festival. 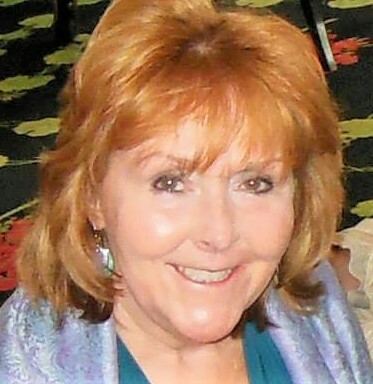 Patricia McCormick Baese, who will be inducted in the category of Education, has been a lifelong resident of the predominately Irish mid-Michigan village of Hubbardston. She graduated from Wayne State University with her degree in Education and Dance, and she taught middle school physical education and gymnastics in Montcalm County until her retirement. She then took Irish dance lessons and became so skilled that in 1998 she founded the Hubbardston Irish Dance Troupe. For 15 years this popular troupe of Irish dancers performed all across Michigan, and also travelled twice to dance at Disney World. In her small town she gave children the chance to learn Irish dance, and with pride her community saw their children learn a beautiful art form, and gain self-confidence and remarkable poise through performing before large audiences. The dance troupe has continued to prosper and grow under new leaders trained by Patricia. In 1990 she opened an Irish gift shop in Hubbardston, called the Celtic Path. Patricia’s store is not only a fine source of Irish gift items, but has also become an Irish cultural center for the surrounding area. The Michigan Irish American Hall of Fame was founded in 2012 by the Muskegon Irish American Society, and is permanently displayed at Hennessy’s Irish Pub in Muskegon.